Welcome to the 48th edition of Banned Books. That’s right, today marks the 4th year anniversary of this feature. Awoohoo! Another series bites the dust! I’m thrilled I finally got around to finishing The Giver Quartet. 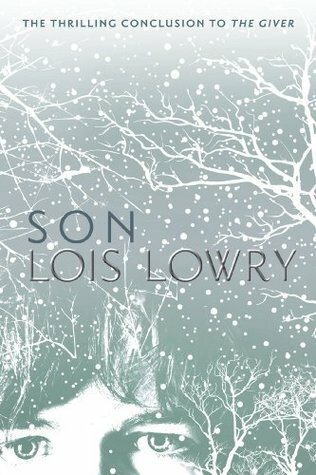 I have really enjoyed this series and think Son is one of the strongest books in the series which is great as all too often I’ve been let down by the final book in the series. This certainly isn’t the case with Son. This quartet is a little bit different to other series. Each book is told by a different narrator, however throughout the quartet the characters slowly weave together. It all begins to make sense. Son is certainly one of my favourites in the series. It centres around Claire, Gabe’s mother. Claire was assigned to be a birthmother at a young age. She had to carry a product. However, the birth went wrong and Claire was reassigned. She later found out she had a son and was determined to find her child. I think the reason I enjoyed this book so much was because it gave me all The Giver emotions but from a different point of view. I loved the beginning and the end of the story when Claire came across Gabe. I didn’t so much enjoy reading about Claire’s life outside of the Community, but that’s because I wanted to read about Gabe. I wanted her to find him so badly. It made my heart hurt a little. I feel like Son tied lots of loose ends together which I always appreciate with a series. I’d always felt like this series was a little disjointed but this book really did bring everything together. I love seeing how some journeys ended and how some relationships came together. This quartet both broke my heart and warmed it at the same time. It’s a highly enjoyable reading experience that I highly recommend! A highly enjoyable finish to the quartet. I recommend The Giver if you’re looking for a decent dystopian read! I’m pretty sure that I’d heard of this book before Beth decided to pick it as part of our challenge. I mean Maggot Moon is a memorable title, you’d have to admit! I wasn’t sure what I was going into though when I picked up this story. I thought it was highly engaging and very easy to read. Maggot Moon has such short chapters its easy to make your way through and I believe would encourage some more reluctant readers! 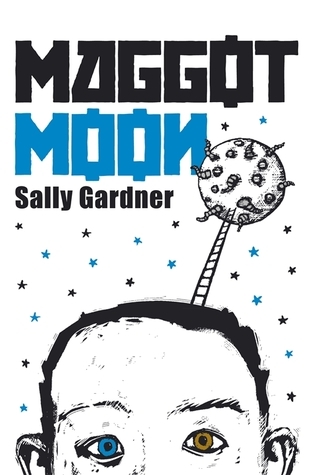 Maggot Moon is a dystopian tale which follows a dyslexic protagonist Standish. Standish lives in an alternate univeerse where the Motherland has taken control of England. In this reality, surveillance and capital punishment are totally normal. It’s a horrible existence for everyone in society. Standish is singled out from his peers because of his dyslexia, vivid imagination and his one blue and one brown eye. It makes him a target for bullies and for the awful society in which he lives in. Standish lives with his grandfather as his family has been taken by the Motherland. However, there is a secret hidden below Standish’s house which could destroy the Motherland. I loved the short chapters in this book, because they kept me utterly gripped. I went into this book thinking that it might be suitable for younger children but I don’t think it is. There are some incredibly violent moments. Maggot Moon is a well written book which I wouldn’t hesitate to recommend. It’s about friendship, loyalty and being different to the rest. For Beth’s wonderful review, check out her blog HERE. As you can see, I’m a big fan of Malorie Blackman. I really enjoyed her Noughts and Crosses series. I loved Cloud Busting and Pig Heart Boy too. It’s safe to say that I went into Noble Conflict with very high expectations. Unfortunately, they weren’t met. 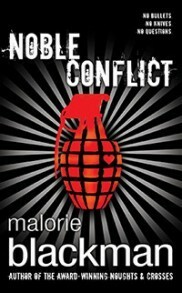 I thought Noble Conflict was a decent read, but it didn’t capture my attention as much as I wanted it to. The book starts off incredibly well. The plot, whilst a little predictable in parts is interesting enough to continue reading. I was intrigued at the start when we meet Kaspar, on the day of his graduation. Straight away the action starts and the reader wants to know more about the Guardians. The first section of the book was particularly exciting and fast-paced, but for some reason, my interest waned and I didn’t feel connected to Kaspar as much as I wanted to. In fact, I was more intrigued by Rhea, the girl that saved Kaspar’s life. I would have liked to have read more from her perspective. I think it would have added some more depth to the story and given the character a lot more life. I’m sure she had an intriguing story to tell. That’s not to say that this book isn’t well written. It is. I liked the mysterious element to the book. It kept me questioning and interested enough to carry on reading. For me, it simply just does not stand out in the YA dystopian genre. I had heard about The Other Life through my favourite meme Top Ten Tuesday. I was curious about the book, so I added it to my TBR. I was lucky enough to get a copy as a present from another blogger. I’ve finally found time to read it and I’m pleased that I did. I didn’t realise that this was part of a series, but I am definitely intrigued enough to continue reading. 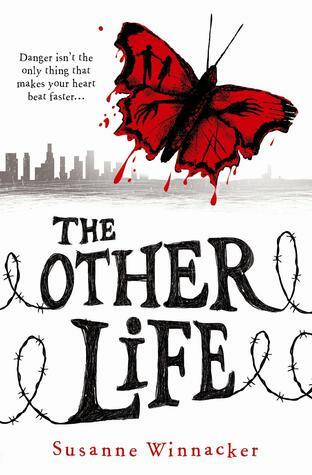 The Other Life is a dystopian story which is set in Los Angeles. Los Angeles has been infected by rabies and people were advised to hide until they were told to come out for their own safety. Several years has past and there was still no word from the government. Sherry and her family have run out of food, her grandfather has died and their situation is becoming desperate. Sherry and her father decide to go outside of the bunker and try to find food. They find devastation outside. Eventually, Sherry and her father find a store and decide to stock up for the family. However, Sherry and her father are attacked by Weepers, with Sherry’s father being taken away. A guy named Joshua takes Sherry back to a safe haven, promising her that she’d be reunited with ther family and that they’d find her father. I thought that The Other Life was incredibly compelling. It certainly was a horrible world to imagine and I think Susanne has brilliantly set up the world. The Weepers really are quite gruesome. The plot is fast and it’s easy to read. It kept me turning the pages wondering what on earth was going to happen next! As I said, I didn’t realise that this was going to be part of a series, but I’m excited to see what happens next. I thought that this was an incredibly accomplished debut novel and I’m intrigued to see where Susanne takes this story next. 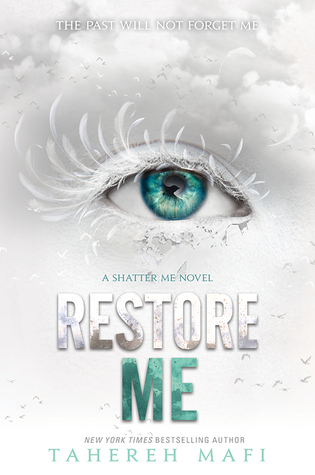 A good YA dystopian read! I have been a long time fan of Cecelia Ahern’s writing. She is easily one of my favourite authors. I have read all of her full length novels (albeit most of it preblogging days!) I was a little worried about her stepping into the world of YA, but at the same time immediately intrigued. She’s an amazing writer. I feel like Flawed is a step in a new direction for Cecelia. This book felt dystopian in its plot! Flawed centres around a young girl who is seemingly perfect. She’s well-liked, she has a perfect boyfriend and she’s bright. However, one day Celestine makes an error in judgment, she dares to help someone that is seen as ‘flawed’ by society. This means that she will be punished and potentially marked as ‘flawed’ herself. The world in which Celestine lives in is scary. Everyone has to be perfect and there are severe punishments for those that don’t fit the perfect mould. This book isn’t the most original, it does have some similarities to other books, yet I still found it to be highly enjoyable. I liked Celestine as a character and liked that what she stood for was morally correct even if in her society it really wasn’t the right thing to do. I really liked how Cecelia was brave enough to put her main character in horrific situations. I’m used to Cecelia and her magical, fairy tale-esque elements in some of her stories, but this was so far away from what I’m used to. I appreciated that! I’m certainly intrigued to see where this series goes. It has much potential. Flawed isn’t the most original book, but it is very enjoyable nonetheless!